This article paper discuss on some common Back Pain Treatments. 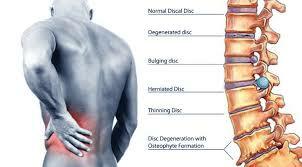 Now Back pain is one of the most frustrating situation for patients as well as for their doctors. Here discuss some common treatments like Pain Medication, Chiropractic Treatment, Electrical Stimulation and Electro-thermal Therapy, Back Pain Surgeries etc. Finally discuss on to Choose the Right Treatment.